My first real conversation with Brad Mehldau took place on an autumn evening at a coffeehouse in New York’s Greenwich Village. Caffe Vivaldi exudes an old-world European languor-a small irony, since it was opened in the ’80s by an industrious emigre from Pakistan. A weathered bench runs along one wall; the wall opposite, cluttered with somber black-and-white portraits of classical composers, is recognizable from films by Al Pacino and Woody Allen. For the past decade or so, the cafe has featured live music nightly: jazz, classical or folk, depending on the night. Walking in, Mehldau could have passed for one of the up-and-comers on the calendar, although he paid no heed to the piano in the corner or the hard bop piped into the room. If Mehldau had ever actually played Caffe Vivaldi, he didn’t mention it. But it’s certainly possible, given that he came of age, professionally speaking, in the neighborhood. New School University, his undergraduate alma mater, is fewer than 10 blocks north. Smalls, the grottolike club that served as an incubator for the pianist and his peers, used to be a three-minute walk away. The Village Vanguard, more closely associated with Mehldau’s career than any other spot in the world, is a straight shot up Seventh Avenue. I had assumed that Mehldau chose the cafe for its proximity to the Vanguard, where he was halfway through a weeklong run with a new quartet. But as he pocketed his black-rimmed glasses and poured steamed milk into his coffee, it occurred to me that the setting was more than merely convenient. Blending propriety with comfort and high culture with egalitarian accessibility, Caffe Vivaldi echoes Mehldau’s aesthetic ideals. I doubt that he’d given this a thought before our meeting. But it was clear that the cafe, like the Vanguard, was a place where he felt at home. 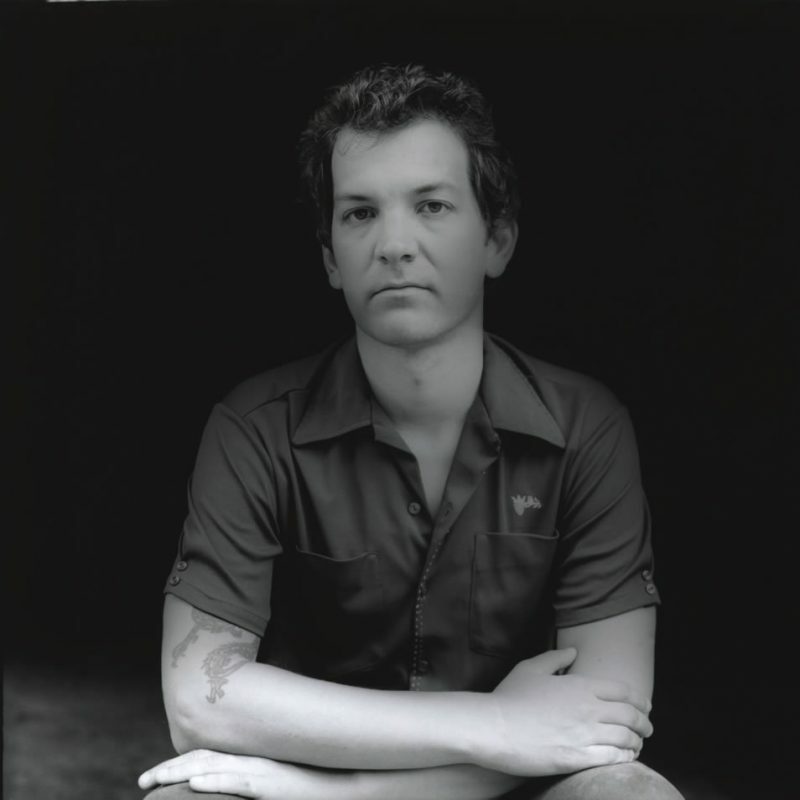 Brad Mehldau is the most highly acclaimed jazz artist to have emerged in the last decade. It was exactly 10 years ago that he flew onto the mainstream radar as a member of the Joshua Redman Quartet. The following year saw Mehldau’s major-label debut, and the formation of his trio with drummer Jorge Rossy and bassist Larry Grenadier. This group, which released its eighth album in 2004, brought a subtle but perceptible new wrinkle to the fabric of piano trio tradition-a personal alchemy of floating rhythmic sensibilities, capricious virtuosity and courtly lyricism. Partly because Mehldau has only rarely worked in other settings, the band is nearly synonymous with his artistic self. “The trio created my identity,” he said at one point in our conversation, in a manner less dramatic than matter-of-fact. In the past year, Mehldau has challenged this identity with a number of non-trio projects. In July he reconnected with an old Smalls compatriot, guitarist Kurt Rosenwinkel, for a three-week European tour. (Redman and Grenadier were also in the group, which subsequently recorded Rosenwinkel’s next album, Deep Song, due on March 1 from Verve.) Mehldau’s fall schedule included concerts in support of Live in Tokyo, the recent solo piano CD that inaugurated his relationship with the highly eclectic Nonesuch label. During those same months, he labored on a Carnegie Hall commission for voice and piano that he’ll debut with soprano Renee Fleming in the spring. Even the Vanguard gig was a departure, an ancillary venture with saxophonist Mark Turner, drummer Jeff Ballard and Grenadier. Known collectively as Fly, these three players have a web of musical connections to Mehldau that predates their respective careers. What was most interesting about their backing of the pianist was the suggestion of an alternate trajectory-one of many possible outcomes had Mehldau followed a different path. In no time, “this”-the early set at the Vanguard-was upon us. Mehldau’s wife, Fleurine, appeared in the window, and together they hurried off to the club ahead of me. The jazz world of the early-’90s was still largely defined by the “Young Lions” boom, which saw rewards heaped on promising players who fit the neoclassicist mold. One such wunderkind, alto saxophonist Christopher Hollyday, was a Connecticut native just seven months Mehldau’s senior; he was responsible for the pianist’s first recording session, in 1990, and his first European tour, in ’91. A bigger and more enduring phenom was Redman, who in ’94 assembled a quartet with Mehldau, bassist Christian McBride and drummer Brian Blade. By that time, Mehldau had been a New Yorker for six years, commingling with the likes of guitarist Peter Bernstein, alto saxophonist Jesse Davis and legendary drummer Jimmy Cobb. But it was on Redman’s MoodSwing (Warner Bros.) that the pianist went public in a major way. “Me and Josh and a lot of players of our specific little generation were lucky,” Mehldau reflects, “because we just caught the tail end of the Young Lions thing. And we had a lot of opportunities that somebody who’s 22 today just doesn’t have.” In his case, that meant a major-label record deal; Introducing Brad Mehldau was released on Warner Bros. in 1995. Mehldau and producer Matt Pierson split that album into two “sides”-one with the Redman rhythm section, the other with Rossy and Grenadier. Appropriately, Mehldau calls that album a “time capsule.” To hear it now is to catch a glimpse of the pianist at a transitional moment, winding down one journey and embarking on another. Mehldau’s career includes a handful of sideman turns, and on each his sound emerges intact. MoodSwing bears unmistakable traces of his nascent musical identity, as does Turner’s early effort Yam Yam (Criss Cross). Already the pianist possessed the fluid ambidexterity, elastic rhythmic assuredness and clarity of melodic purpose that would become his trademarks. These qualities shine clearly on Alone Together and Another Shade of Blue (Blue Note), recorded with Lee Konitz and Charlie Haden in 1996 and ’97. They’re even more evident on saxophonist Charles Lloyd’s The Water Is Wide and Hyperion With Higgins (ECM), two outings that firmly establish Mehldau’s supportive graces. “The Way You Look Tonight” is one of many trio performances frozen in time; it appears on The Art of the Trio, Vol. 2: Live at the Village Vanguard (Warner Bros.). By that time, the trio had developed both a vocabulary and a sound. Mehldau’s often-stunning solo flights found complement in Grenadier’s supple bass lines and Rossy’s suggestive propulsion. They played through odd meters, like 7/8 and 5/4, with fluid liberation. And they never seemed to break a sweat, no matter how intricate the interplay or breakneck the tempo. At the other end of the spectrum, their ballad interpretation heeded a deep and sonorous melancholy; Mehldau had applied his love of the Romantic composers, Schumann and Brahms in particular, to a more flexible chamber setting. At the Vanguard, I claimed one of the last available seats, on a rear bench near the bar. By coincidence, Fleurine ended up at my table. “The music has been different every night,” she said enthusiastically. It was Friday, the fourth night of the quartet engagement. The New York Times had already published an opening-night review, which began by saying that the project had a ways to go. The set began sharply. All four musicians hit the first downbeat, which barreled into a bright-swinging tune with a twisting, convoluted head. Ballard’s earthy propulsion brought out Mehldau’s aggressions; comping behind Turner, he stabbed at his chords with unrepentant force. Later, on a modal piece in 6/4 time, he took a solo that was at once logical, exploratory and suspenseful-a virtuoso turn. This was followed by a rendition of James Alan Shelton’s “Lilac Wine,” popularized by Nina Simone, on which Mehldau’s ceremonial chords chimed softly while Turner played a prayerful litany, each strange arpeggio rolling into the right note. It was a moment of astonishing emotional immediacy. And it was the only part of the night that reminded me, even obliquely, of the trio. Mehldau has lately been exploring this stream-of-consciousness approach in a solo setting, where the only formal responsibilities are those he creates for himself. “I’ve really been honing into solo piano,” he says, “and I finally feel, after years of working specifically on it, that I’m starting to find a voice. It was something that I wanted to sort of go public with, so I started to do more solo performance.” Live in Tokyo captures one such performance, from last year. Stark and gleaming one moment, dense and percussive the next, the album does indeed showcase a distinctive solo voice. It also provides a handy snapshot of Mehldau’s current fascinations. Live in Tokyo includes two songs by Gershwin, two by the late British folksinger Nick Drake and one apiece by Cole Porter, Radiohead and Thelonious Monk. An expanded edition available online also includes two untitled originals, Paul Simon’s “50 Ways to Leave Your Lover,” Joni Mitchell’s “Roses Blue” and Burt Bacharach’s theme from Alfie. Ever since 1998’s Songs: The Art of the Trio, Vol. 3 (Warner Bros.), Mehldau has been known, and ultimately celebrated, for exalting the occasional rock confection. On his aberrant Largo (Warner Bros.), a studio album crafted with Los Angeles pop mastermind Jon Brion, he even appropriated the layers and timbres of the alien genre. But Mehldau’s pop-to-jazz ratio has never been higher than on Live in Tokyo, and the pianist has never sounded more at home with his mainstream muse. In the middle of “Monk’s Dream,” he goes so far as to interpolate “Linus and Lucy,” Vince Guaraldi’s puckish Peanuts theme. This last comment could be construed as a self-critique. Mehldau’s first solo piano record, 1999’s Elegiac Cycle (Warner Bros.), was an intensely personal effort that tackled thematic issues of irony, mortality and bereavement. Mehldau composed the album-length suite during a two-month retreat with Fleurine in Berlin. 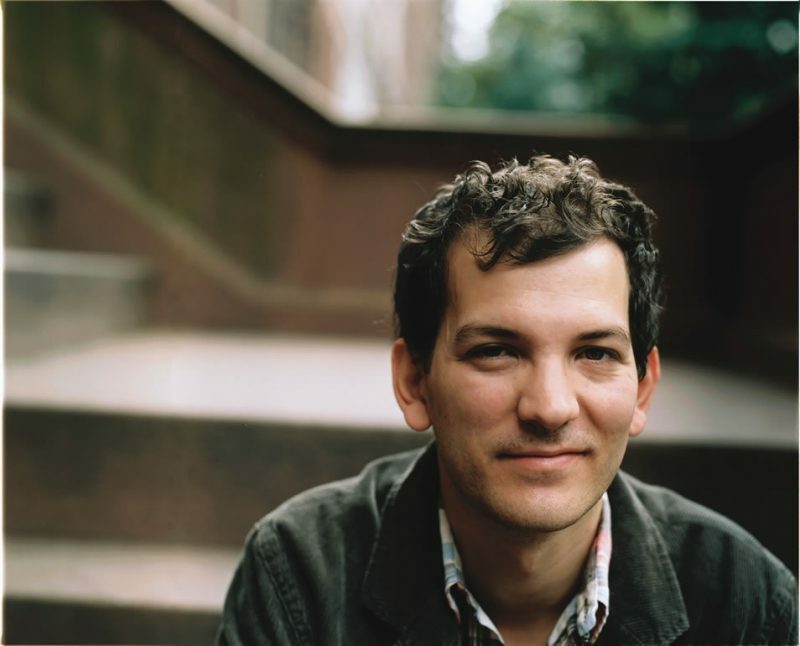 And while his official complaints are technical (“I feel like I could do that record over again now and it would be stronger”), Mehldau has also referred to Elegiac Cycle as a “purging.” On his official bio, he describes the album as “an attempt to shake off some of the youthful aspects of my character.” And he’s not talking about Peanuts. Mehldau lives in Newburgh, N.Y., an ethnically diverse Hudson River town some 60 miles north of the Village Vanguard. He and Fleurine have a three-year-old daughter, Eden, whose ebullience and golden ringlets make the term “cherubic” seem like something other than a cliche. It’s not an idea Mehldau would seem inclined to endorse. “I have a built-in wariness,” he once wrote, “towards the term ‘renaissance’ applied to jazz music being played and recorded in recent years.” His position hasn’t changed, even if he’s less likely to foist it upon us. He may or may not have reinvented the role of his instrument, but he’s definitely not someone who’d savor the image of leading a charge into the bright beyond. Nevertheless, Mehldau would certainly agree that the jazz landscape of our time, whatever its pitfalls and polarizations, holds enough thoughtful talent to nourish a vibrant scene. He’s led his entire career as if guided by this premise, and his recent activity shows that he’s kept faith. In the end, Hurwitz’s charge makes sense, at least from a literal standpoint. Merriam-Webster’s 10th Dictionary lists “golden age” simply as “a period of great happiness, prosperity and achievement.” By that measure, Mehldau is already there.